The special plan for Hato Bus...Making a set in the Hato bus fare & the Lodging fare is now on reservation! With the memorial of the cooperation with Hotel Sun Valley using Hato Bus, 「Hato Bus」's round-trip fare and the lodging fare can be one set for reservation plan. 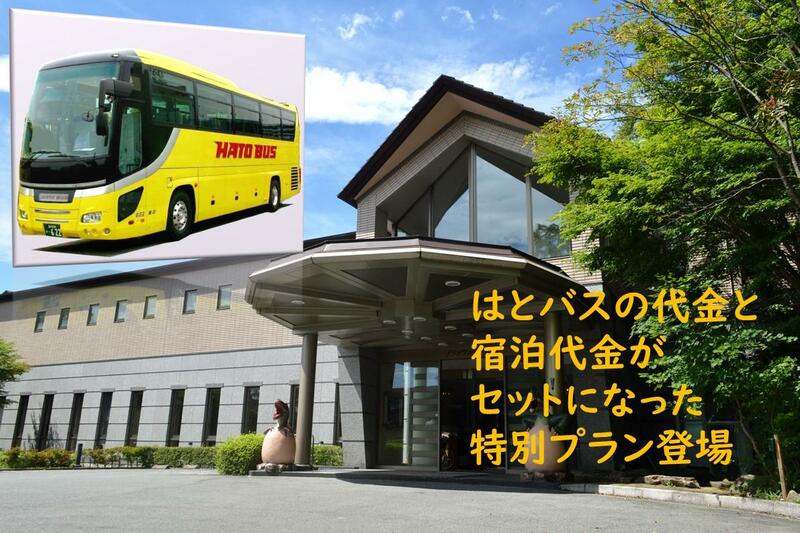 ・ In general,the fare of「Hato Bus」's round-trip will be 5,500 Yen and make a set with the lodging fare can be 18,300 at weekdays, But now it can be obly 13,800 Yen that is value for money as a set. The limited plan can be used in Saturdays,and it ends before the Golden Week. ・ If you take Hato Bus,it will go direct to Yumoto in Nasukogen. The reservation should be made until 5 day ago before the lodging because of the insurance to the seats. Please make a early reservation. Apply in「Reservation」which is on the left.